Winning a ten-million-dollar lottery both excites and scares Alida at the same time. Assuring her parents that the money will be put to good use, Alida bought her dream house in her old neighborhood. Little does she know that the house comes with a dark secret; there are hidden lockers used by a demon to imprison good souls solely for his egotistic pleasure. Brave Alida determines to fight the demon and free the souls. Will she succeed? 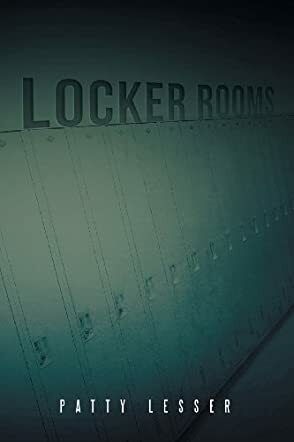 Patty Lesser’s Locker Rooms is a potent combination of paranormal and fantasy fiction with a firm, yet subtle, religious tone. I keep wondering in the beginning where this story would lead and what it was really about. I’m usually able to detect what type of arc a story would reveal right from the first chapter. Then the theme and plot start to pick up right away in chapter two – and what an arc it is. Souls are trapped in lockers, victims to a demon’s self-pleasure. It is a fresh perspective about the afterlife. To be honest, it disturbs me that good souls can still be victimized by the evil ones. I rather have a firm belief that good people goes to a heavenly place as soon as they depart from the living world. We have all these different doctrines regarding life after death, but the truth is we have no clue unless we leave our body. All in all, Lesser made Locker Rooms resonate with authenticity using a subject matter that makes one ponder about the hereafter.